Moving into the month of July we have now started our Dental Month Campaign for the year which runs until the end of August. What does this mean for you and your pet? 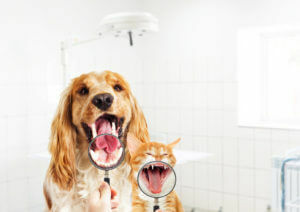 As a way to promote and educate owners on dental care for cats and dogs we will be offering FREE dental checks as well as dental x-rays until the 31st of August 2018. All you need to do to take advantage of this complementary service is book an appointment for a ‘Free Dental Check’ with our clinic by either dropping in or giving us a ring on 9797 2555.